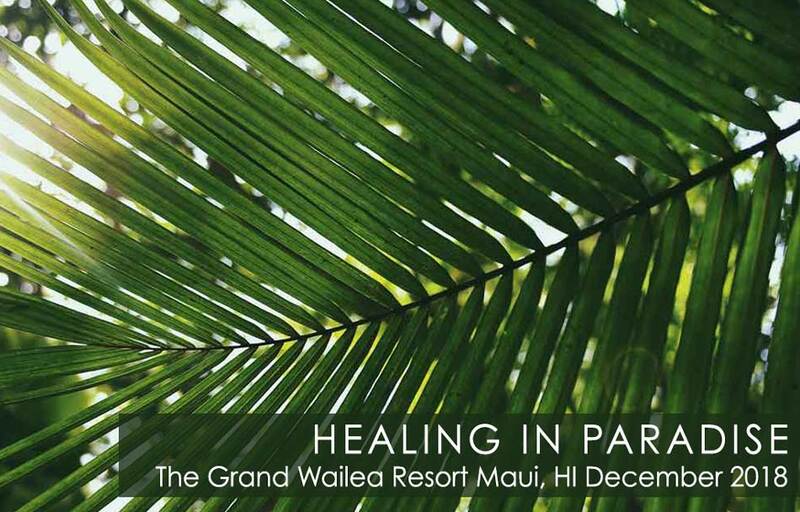 Step away from your daily life and join Deborah at the beautiful Grand Wailea, a Waldorf Astoria Resort, in Maui, Hawaii where you’ll embark on a journey of self-exploration and discovery as you unlock the ancient healing wisdom that is stored in your soul. Having traveled the world to experience the many different energies of Mother Earth, the tropical shores of Maui remain to this day one of Deborah’s very favorite places to restore and replenish her own personal energy. Whether you want to clear away past trauma, find power in the present moment, or pave the way for the future of your dreams, the gentle sea breezes and warm ocean currents of Maui will provide you with a legendary energetic awakening that can only be realized among Hawaii’s ancient vibrational energies. Step 2: Contact the Grand Wailea hotel at 800-888-6100 to arrange your accomodations. Step 3: Getting to the hotel – SpeediShuttle provides shared ride airport transportation in Mercedes shuttles at a per person rate of $24.70 one way, $49.40 round trip between Kahului Airport (OGG) and the Grand Wailea. Guests with prearranged arrival reservations are met in the baggage claim area, then directed to their waiting shuttle. Vehicle amenities include complimentary Wi-Fi, 6’1” headroom, three point seat restraints, adjustable headrests and roomy comfortable seats. Reservations can be made online here or by phone (808-242-7777). Reference Deborah King Workshop to get quoted rates. When you enroll in this workshop, you’ll get access to Deborah’s exclusive room rates — which include a daily delicious breakfast, so you can start the day nourishing your body before attending workshop sessions that feed your soul. Dial #2 (reservations) then #4 (group rates) and tell the booking agent that you will be attending The Deborah King Workshop. Reservation link to the Deborah King Center Workshop room block. If you would like to book pre- and post-workshop, please call the hotel at (800) 888-6100 for further accommodations (subject to availability). Pre-workshop is three (3) days prior to December 5, 2018 and post-workshop is three (3) days after December 8, 2018. Embrace the spirit of aloha and the essence of Hawaiian island living at the Grand Wailea, a luxury resort that sits atop 40 acres of tropical gardens bordering Maui’s Wailea Beach. Fronted by the most beautiful beach on Maui, this Waldorf Astoria Resort is the perfect opportunity to check out of the daily grind of reality and into a relaxing paradise. Featuring airy rooms with high-end amenities, plush and luxurious beds surrounded by subtle traditional Hawaiian decor, and breathtaking island views, the Grand Wailea provides the perfect canvas for self-discovery and restorative healing.